As legislative sessions wind down across the nation, state lawmakers are putting the final touches on election law changes before they adjourn. Earlier this week, I wrote about a Minnesota omnibus that passed the Legislature and headed to the governor. Further south and west in Topeka, Kansas lawmakers passed their own omnibus and some other session-ending legislation – but without the overwhelming bipartisan majorities seen in St. Paul. A bill to shift local elections from the spring to the fall has passed the Kansas Legislature. The House passed HB 2104 by a vote of 64-58 Thursday after an hour of debate. The minimum for a constitutional majority is 63 votes. The bill has already passed the Senate and now heads to the governor’s desk. The bill is a combination of several changes to election law. It moves city and school board elections to the fall of odd-numbered years, but keeps them non-partisan. The bill also addresses a controversy from this past year’s election by changing the requirements for a candidate to withdraw from a race after winning a primary. Democrat Chad Taylor pulled out of the U.S. Senate race in September, a move Republicans saw as meant to boost an independent candidate against Republican incumbent U.S. Sen. Pat Roberts. This sparked a legal battle, with Secretary of State Kris Kobach trying unsuccessfully to keep Taylor on the ballot. Under the bill, candidates’ names could be removed only if they die, if they move out of the state or if they or a member of their immediate family suffer from a medical hardship. Kobach, who recommended the change, initially wanted death to be the only way off the ballot. Debate on the House floor centered on a series of amendments that would have stripped out provisions of the bill opponents found objectionable. The bill’s leading proponent, Rep. John Rubin, R-Shawnee, successfully urged lawmakers to reject the amendments. Rubin argued that amending the bill would force a conference committee with the Senate. This late in the session, a conference committee would likely kill the bill for the year as lawmakers look to adjourn as soon as the state’s budget issues are solved. County attorneys for whatever reason are not interested in prosecuting election crimes, Rubin said. Election fraud is a serious crime, he said, striking at the heart of democracy. “This bill remains critical to me if we want to stand for free and fair elections,” Rubin said. The closest lawmakers came to amending the bill came in a change offered by Rep. Russell Jennings, R-Lakin, that would have stripped away prosecutorial power for the secretary of state from the bill, which also boosts penalties for election crimes. The amendment failed in a 60-61 vote. Jennings said having three entities – county attorneys, the attorney general and the secretary of state — going after election crimes could lead to confusion. “It creates a scenario where you could have a race to the courthouse. And whoever files first gets to prosecute. And there’s only [one] of the three in this conversation that really wants to get to prosecute and I really want him to file papers and keep good records, not prosecute,” Jennings said. The measures now head to Governor Sam Brownback, who is likely to sign them both. It’s interesting to note how Kansas and Minnesota have taken such different approaches to election legislation; of course, one major difference is that Kansas Republicans control the legislature and the governorship so there is no need for bipartisan compromise. That said, the fact that Minnesota’s governor has said he won’t sign any legislation that doesn’t enjoy bipartisan support is also undoubtedly a factor. Nevertheless, as session ends in the two states it’s fair to say that the the often difficult relationship that often exists between partisans in a state legislature is probably more difficult these days in Topeka than in St. Paul. 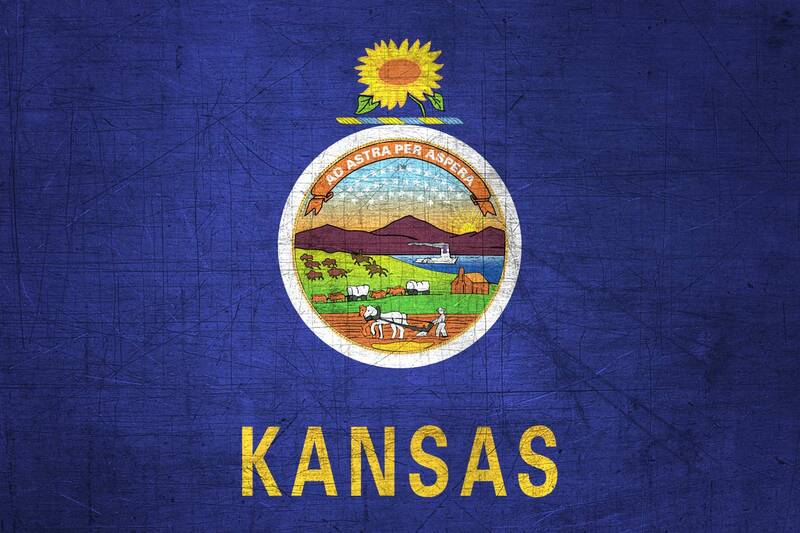 Be the first to comment on "Kansas Legislation Moves Local Elections, Eliminates Presidential Primary – and Gives SoS Prosecutorial Powers"